This was written by john andrews. Filed under society. Bookmark the permalink. Follow comments on Twitter @johnandrews. Both comments and trackbacks are currently closed. Looks quite good, but it’ll probably leave a nasty taste in the mouth. That’s actually quite amazing and looks pretty hard to do…kind of like bailing out AIG. That is good… What’s in it though? 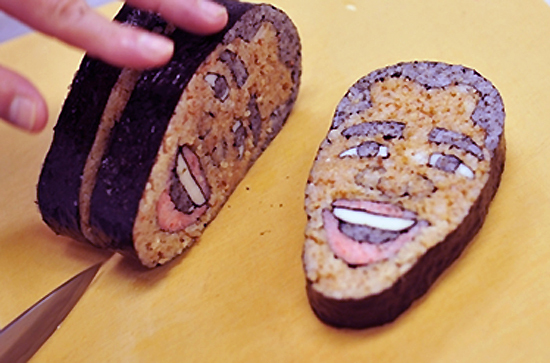 Ha ha cleaver but beizarre why would you want to eat OBama shaped sushi? !